Dream World Bangkok - A review from a tourist! They call it “The World of Happiness” and if you’re visiting Bangkok with children this is one place you won’t want to miss for keeping your kids happy! 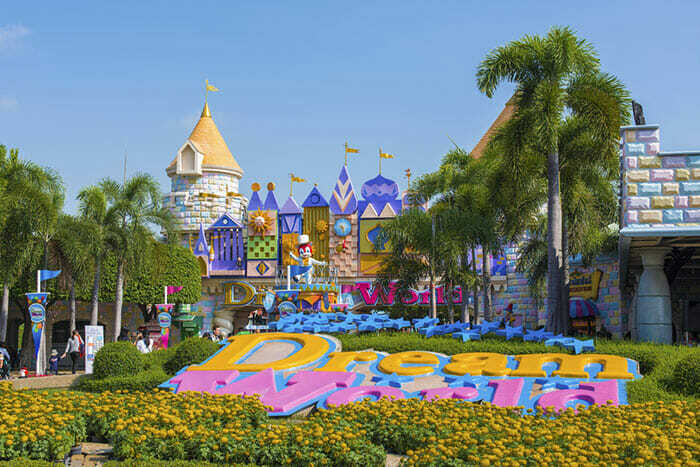 Dream World Bangkok is Thailand’s answer to Disney World, and although you won’t see the likes of Mickey Mouse wandering around this amusement park, anyone familiar with Disney World will find a few of the rides and settings seem familiar. Dream World Bangkok is roughly 43 kilometres (27 miles) from the centre of Bangkok so getting here isn’t especially fast. You can take a taxi but with the journey taking somewhere around 40 minutes (depending on traffic) this is not the most affordable option. A taxi should cost around 400-500 THB depending where in Bangkok you are leaving from. The closest BTS station is Mo Chit and from there it cost around 300 THB. Another option that many visitors choose is to get a package through a tour company. This way you buy the entrance tickets and transportation for one price along with a convenient and comfortable way of getting there. Like the majority of attractions in Thailand, foreigners will pay a higher entrance fee to Dream World Bangkok than locals, though there are some special packages you can take advantage of for good deals on a day out at this family friendly attraction. 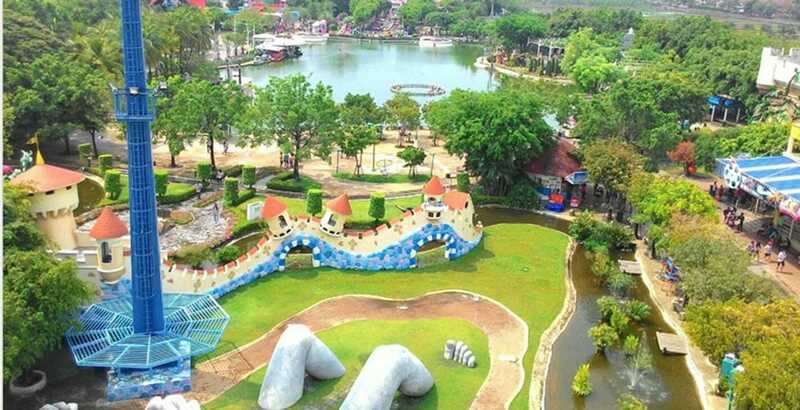 At Dream World Bangkok you pay an entrance fee that includes most of the rides though some of the special areas within the park will charge extra. As mentioned above, tour companies offer package deals and there are three different packages generally available, depending on what you would like to spend and get in return for your money. Some packages include a transfer from Bangkok hotels, and you can add an affordable lunch on as well. These tours usually present the best value for money with their all-round access to rides and areas of the park, and transfer from your hotel. Prices vary but expect to pay in the region of 1000 baht and up for the full package that includes admission, transfer, lunch and entry into Snow Town. Obviously without the lunch and transfer, tickets are several hundred baht cheaper. Dream World Bangkok has many different rides and attractions, and there’s something for the whole family. 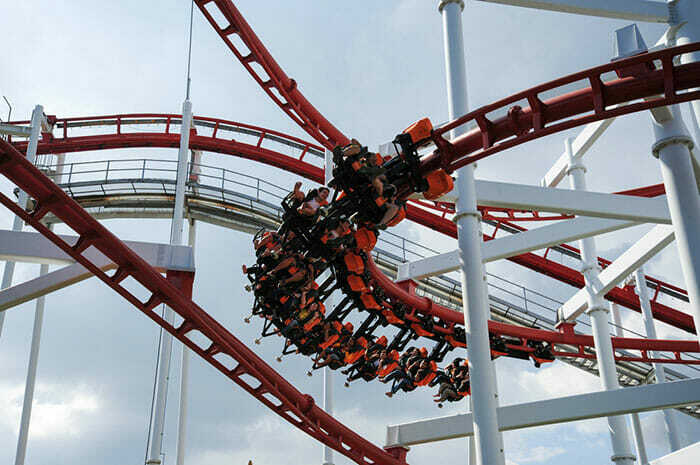 The majority of rides may seem to be aimed more at younger children, but older kids and adults will find fun on the park’s thrill rides that include roller coasters and water rides. The park is divided into a number of different zones. You enter through Dream World Plaza where there are shops and places to eat. It’s reminiscent of Main Street USA in Disney World with its cute architecture! The nature themed Dream Garden is a nice place to relax around the lake, or you can take to the lake itself on the fun water tricycles! See the park from above if you ride the cable car from here to the other end of the park – it’s a great way to start your day with a bird’s eye view of the rides so you can plan which ones you’d like to go on. Every weekend you can catch The Colors of the World parade within Dream Garden, next to the lake, or circumvent the lake on the Dream World Railroad. Other rides in this zone of the park include the Speedy Mouse Coaster and Racing Cars. 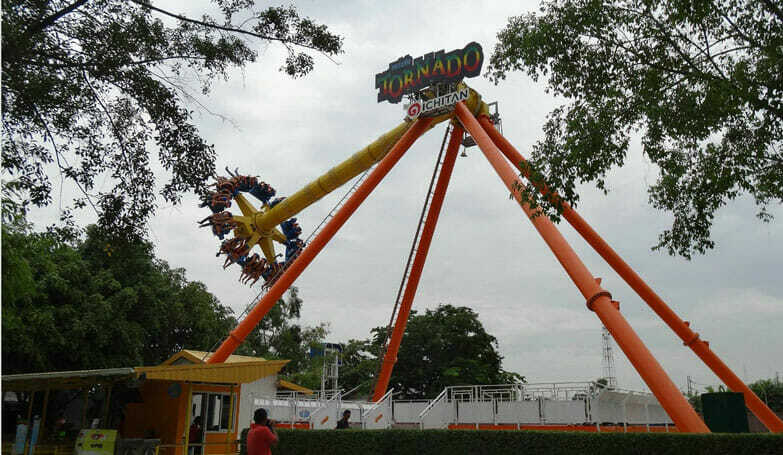 The largest zone of Dream World Bangkok is Adventure Land. Here the space and futuristic theme can be enjoyed, along with some of the park’s best and most popular attractions. Space Mountain has similarities to its namesake in Disney World. This indoor roller coaster is one of two major coasters in Dream World, the other being the Sky Coaster which you sit on with your legs dangling in midair! Grand Canyon and Super Splash are two more rides that should appeal to the whole family, though expect to get wet on both of these. You’ll want to dry off before heading into Snow Town as it really is cold in this part of the park! Bring a sweatshirt or a jacket, and gloves would be useful too if you’re going sledding on the indoor ski slope. Other thrill rides include Hurricane, Viking and Tornado, plus there are many other more gentle rides that are great for younger children. 4.5 out of 5! Dream World Bangkok has lots of great attractions with a smaller ride section for the littler children. With now having the waterpark it is great for the smaller children as they can spend most of the day here keeping cool. The adult water rides are plenty of fun and there is enough to see to keep you busy for a day out. Snow town and the waterpark are added extras to your entrance fees. Check a variety of websites for a better entrance fee rate. When you’ve been on your feet for a few hours it’s always nice to sit down. This is a good time to enjoy one of Dream World Bangkok’s shows. The Animal Show stars live animals, and this 20 minute show happens twice day during the week and three times a day on weekends. Hollywood Action is a live and exciting show with explosions and plenty of action. On weekdays this 25 minute show happens only once a day, while on weekends you have three opportunities to catch it. Finally there’s the 4D Adventure show that features many special effects that bring the audience right into the action. The lunch buffet that is included in many of the special promotion tickets is a good way to get your fill of food, but if Thai food and the buffet don’t appeal, there are other options too including KFC and other fast food if you want to eat quickly and get on with your day. Overall you should set aside most of a full day to get to see and do the majority of rides and attractions at Dream World Bangkok.